Clothing Rental in Versova is a high end boutique rental online portal and store that stocks up on beautiful Indian wear for women and men. A high end boutique located in Bandra and Versova, Clothing Rental lets people come in, and rent outfits per day or for whatever duration it is needed. It steps in to cap the gap between luxury clothing from fashion lines to the prices that one needs to pay for it. They source original brands from across the world, especially their New York office, and have Indian ethnic wear at the Versova branch. To rent something, just go on their website, choose an outfit and send in a request. The staff from the store will get in touch with you to understand the specific requirements like size and the dates it’s needed for. Pay for the rental, and the outfit is yours for the time period. Once the occasion has passed, return the outfit. It cuts down the cost of actually buying the clothes. 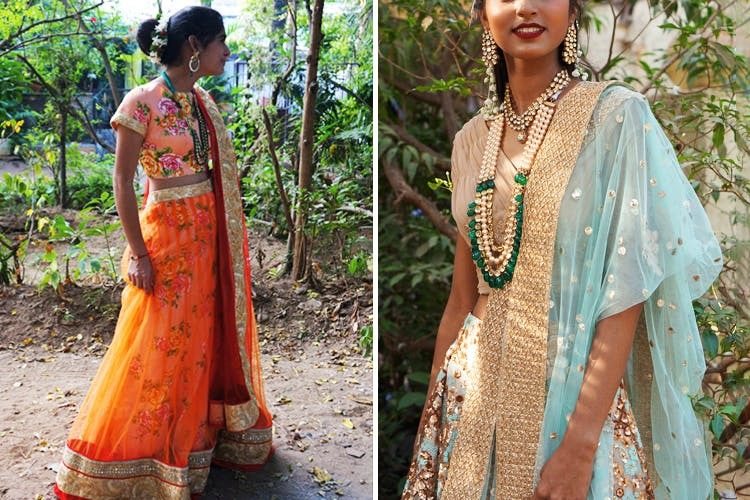 Especially for special occasions like a wedding, or a function, just rent out a beautiful lehengas, or suits and return it once the event is over. Living in Mumbai has its own perils like crammed spaces. So by renting out from the Clothing Rental, one is not only cutting down on the cost but also going minimal space. One can rent out accessories, jewellery, and even bags from them. The Versova branch offers only Indian wear for women and men. This one is helpful for anyone who has the wedding season upon them, and would rather just rent it out as opposed to buying it. A small black clutch will cost INR 300 and a gorgeous lehenga will cost INR 3,000 upwards. Looking to rent out outfits for an important event? You can also head to the store in Aram Nagar. However, an appointment is necessary.